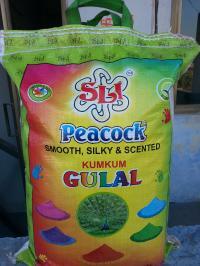 If you are looking for the range of Holi Gulal that is Non-Toxic, we are the perfect destination. We offer unmatched quality Holi Gulal powder made from 100% pure Starch that is available in various colors and fragrances as per the requirements of our customers. 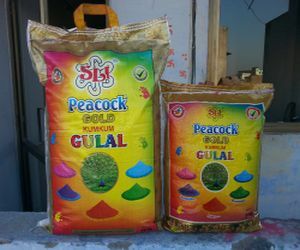 Our range of Holi Gulal is totally safe and does not produce any side effects due to which it is highly appreciated by the clients. It is available in various qualities and packing as per market demand. 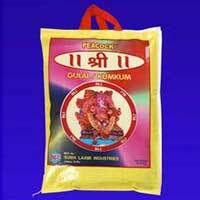 Shree Laxmi Industries is known as a successful Manufacturer, Exporter, and Supplier of Peacock Gold Gulal. 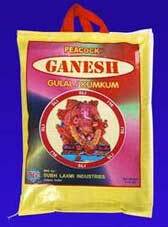 We bring forth the true festive colors to let people revel in joy and happiness of festival of colors. The Peacock Gold Gulal is free from all kinds of harmful chemicals.